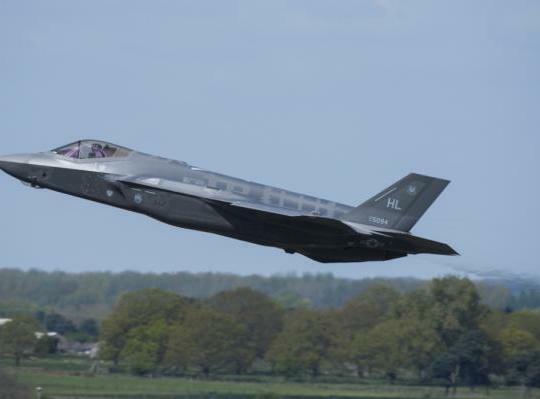 Fort Worth, Texas, USA - September 27, 2018 - Lockheed Martin (NYSE: LMT) has selected Harris Corporation (NYSE: HRS) to develop and deliver the next generation Integrated Core Processor (ICP) for the F-35 fighter jet. The Lockheed Martin-led competition within the F-35 supply chain will significantly reduce cost and enhance capability. 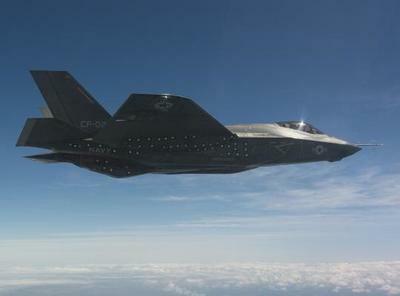 The F-35's ICP acts as the brains of the F-35, processing data for the aircraft's communications, sensors, electronic warfare, guidance and control, cockpit and helmet displays. The F-35. The next generation Integrated Core Processor for the F-35 will have positive benefits for all customers in terms of life cycle cost, capability, reliability and more. 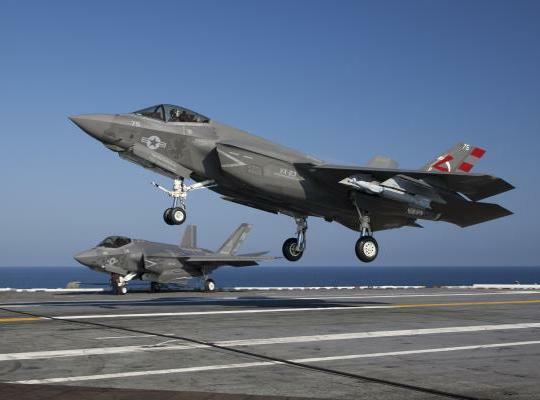 Lockheed Martin (NYSE: LMT) has selected Harris Corporation (NYSE: HRS) to develop and deliver the next generation Integrated Core Processor (ICP) for the F-35 fighter jet. The Lockheed Martin-led competition within the F-35 supply chain will significantly reduce cost and enhance capability. 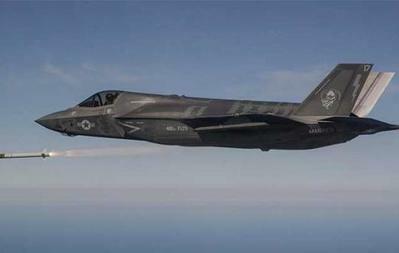 The F-35's ICP acts as the brains of the F-35, processing data for the aircraft's communications, sensors, electronic warfare, guidance and control, cockpit and helmet displays. "We are aggressively pursuing cost reduction across the F-35 enterprise and, after conducting a thorough review and robust competition, we're confident the next generation Integrated Core Processor will reduce costs and deliver transformational capabilities for the warfighter," said Greg Ulmer, Lockheed Martin vice president and general manager of the F-35 program. "The next generation Integrated Core Processor for the F-35 will have positive benefits for all customers in terms of life cycle cost, capability, reliability and more." An F-35C launches from the USS George Washington (CVN 73) with another C in the background during development test III at sea. The new Integrated Core Processor is a key element of the planned "Technology Refresh 3" modernization that takes advantage of fast evolving computing power to ensure the advanced F-35 remains ahead of evolving threats. Additional elements in the tech refresh include the Panoramic Cockpit Display Electronic Unit and Aircraft Memory System, which were also recompeted and awarded to Harris last year. The Harris-built ICP will be integrated into F-35 aircraft starting with Lot 15 aircraft, expected to begin deliveries in 2023. "The new F-35 ICP will pave the way for system scalability well into the future," said Ed Zoiss, president, Harris Electronic Systems. "Open systems are the future of avionics and Harris has invested substantial R&D to deliver more affordable and higher performance solutions than would have been possible using proprietary technology." The ICP selection comes on the heels of Lockheed Martin's selection of Raytheon for the Next Gen Distributed Aperture System, which will reduce lifecycle costs by more than $3 billion, enhance reliability and increased capability. "With production ramping up and the operational fleet growing fast, we are looking at every layer of our global supply chain to find opportunities to increase capacity, reduce production and sustainment costs, improve parts reliability and enhance capabilities," said Ulmer. In addition to competition, the company is transitioning several F-35 suppliers to longer term Performance Based Logistics contracts to enhance parts availability and reduce sustainment costs. Previously under annual contracts, the new 5-year PBLs allow each supplier to make longer term investments and actions to reduce costs and improve efficiencies. 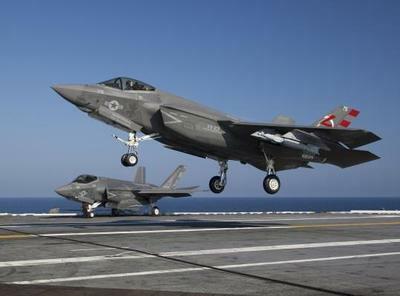 With radar evading stealth technology, advanced sensors, enhanced weapons capacity, supersonic speed and superior range, the F-35 is the most lethal, survivable and connected fighter aircraft ever built. Senior leaders from the U.S. Department of State, U.S. Air Force and the Royal air force gathered to highlight a significant F-35A milestone - the first ever, long-planned overseas flying training deployment for the F-35A. More than a fighter jet, the F-35's ability to collect, analyze and share data is a powerful force multiplier enhancing all airborne, surface and ground-based assets in the battlespace and enabling men and women in uniform to execute their mission and come home safe. Harris Corporation is a leading technology innovator, solving customers' toughest mission-critical challenges by providing solutions that connect, inform and protect. Harris supports government and commercial customers in more than 100 countries and has approximately $6 billion in annual revenue. The company is organized into three business segments: Communication Systems, Space and Intelligence Systems, and Electronic Systems.